Him: <looks aghast> That's MILES away. What's there? Me: It's a house built and furnished in the Arts & Crafts style. It has William Morris wallpaper, Pre-Raphaelite art and De Morgan pottery scattered throughout. The moral of the story is that EVERY National Trust property has SOMETHING going for it. And Wightwick Manor is very, very photogenic. In 1887, a Wolverhampton paint manufacturer called Theodore Mander bought the Wightwick estate. There had been a manor house at Wightwick for centuries but he decided to build a new house in the 'Old English' style - he had attended a lecture by Oscar Wilde on 'The House Beautiful' and set out to design a home that prioritised the principles of hand craftmanship, both inside and out. In 1893, Mander extended the house to accommodate his growing family. Theodore died young - he was only 47. He had married a woman called Flora St Clair Paint (I kid you not) and they had four children. The eldest was Geoffrey and when Flora also died aged 47, he inherited Wightwick. In 1937, Geoffrey Mander took the extraordinary step of handing Wightwick Manor AND ALL ITS CONTENTS to the National Trust. Initially, it sounds as if the Trust wasn't too keen - the house was less than 50 years old and Victorian architecture and art had fallen out of fashion. But luckily they did they take it on. Theodore and Flora had created a home filled with features and furnishings from some of the leading lights of the Arts & Crafts movement - William Morris fabrics and wallpaper and De Morgan tiles - and Geoffrey and his wives continued to add to the collection. Today you can find the original Morris furnishings complimented by Rossetti and Burne-Jones artworks. It's amazing. 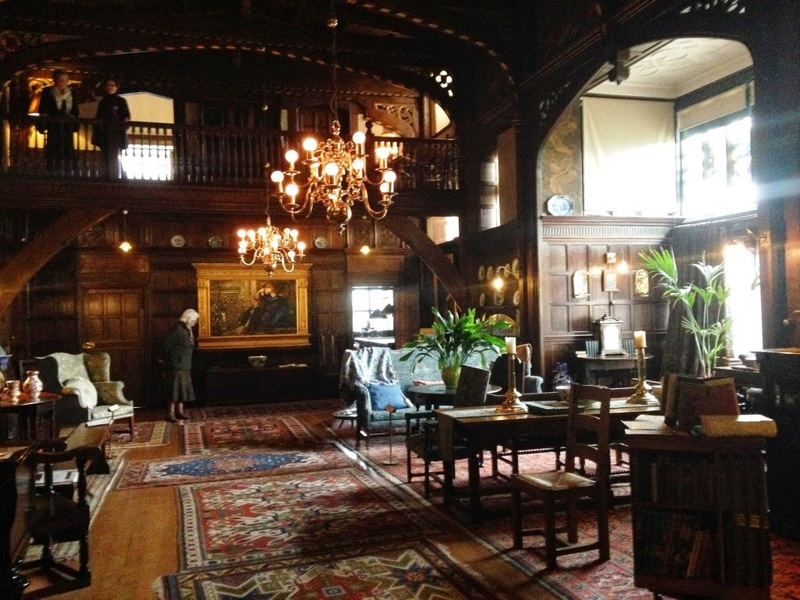 In fact, I would go as far as to say that Wightwick has the single most beautiful room in all of the National Trust. It's the Great Parlour and it was designed to look like a Great Hall but with beautiful furnishings. There's even a Minstrels Gallery at the back, but it's actually a useful landing rather than an ornamental feature. This picture doesn't do it justice at all - you need to go and see it. But onto the scones. I was very relieved to see a pile of scones at Wightwick, I can tell you - I've had two hits and two misses so far this year and it has shaken my confidence somewhat. It was another 'sconus tardisus' this week - like last week's scone at the Wimpole Estate, this week we had another nice-looking scone that turned out to be enormous. It was full of currants and very tasty. 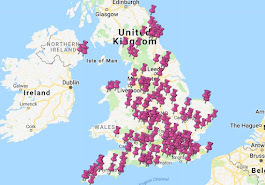 I've just realised that I don't really have the time to write a book about How To Persuade Your Other Half To Visit National Trust Properties, as I've still got around 150 properties to complete as part of my scone odyssey. Maybe I'll run it as a summer school instead. 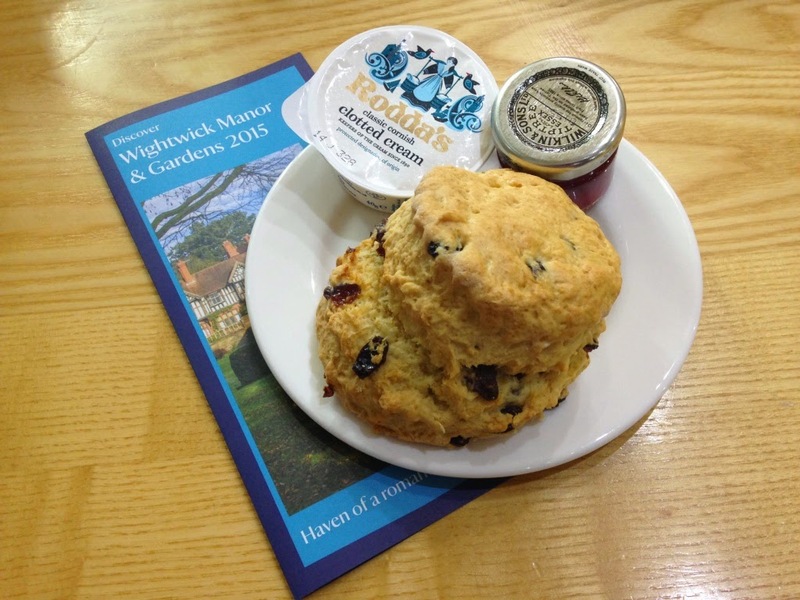 We'll all meet somewhere lovely for a week in August and eat scones and drink tea. Who's in? Ooo, I think Wightwick was featured on the living room episode of Lucy Worsley's "If Walls Could Talk: the History of the Home" program. Must visit it now. 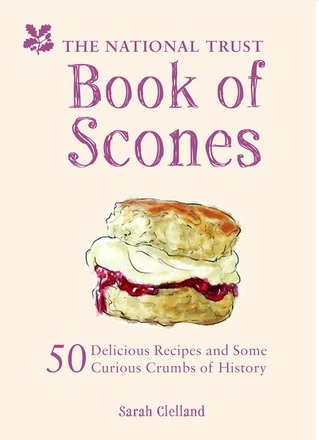 Congrats on the scone success. Also, I would sign up for your summer school. We love Wightwick! It isn't so far from us, only an hour, but definitely worth a visit! The light in the house is simply magical, it is easy to spend hours in there, there is so much to look at! I agree with your description of the Great Parlour, his I would love to live in that room! It is perfect in every way. We had to fight off wasps who wanted our jam when we visited last August - so best visited out of wasp season.